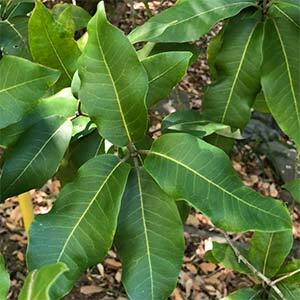 A tall growing tree, Syncarpia glomulifera is commonly known as the Turpentine Tree. The common name comes from the smell the foliage when brushed against or crushed. Reaching up to 50 metres in height, it is usually around half this when in cultivation. Native to Queensland and New South Wales it is widely used as a windbreak and shelter tree. It naturally grows along the dividing range from southern New South Wales to Brisbane and a little further. In landscaping it is used in parks and gardens, and commercially the timber is harvested for its durability. Flowers in summer are small and creamy white followed by seed pods. Bark if dense, fibrous and string. 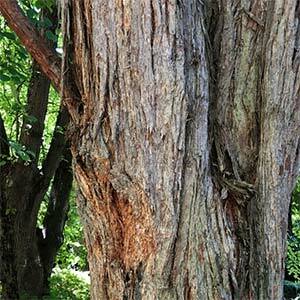 A versatile tree that will grow in a range of soils as long as some moisture is available. Best planted in slightly proved positions, in gullies or in a group of trees. In can also be used as a large feature tree. Water over the first few summers, once established this useful tree is very low care. Soil – Well drained, moist. Foliage – Mid to deep green, large with undulating leaf margins.